In season 1961/62, several Edinburgh harrier and athletic clubs came together to form one club which was to be called Edinburgh AC. In order of appearance on the scene, the first Edinburgh Harriers club was called Edinburgh Harriers and they were Scotland’s second oldest club. Founded on 30th September, 1885, after Clydesdale Harriers on 4th May of that year, they actually held their first cross-country run from’ The Harp’ in Corstorphine. You can probably guess from that (the Corstorphine venue) that they were mainly a west of Edinburgh club. Edinburgh Northern Harriers came along next – in 1889 – and were remarkably successful. They won many championships, produced a lot of good athletes and promoted many successful meetings. Edinburgh Southern Harriers was established in 1897. 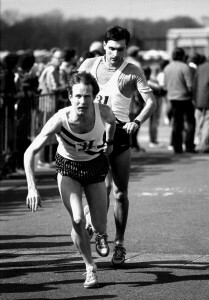 Much later Cannon AC was formed and that became Edinburgh Eastern Harriers. The city was pretty well quartered by the clubs. Braidburn AC, the fourth club that went to make up EAC, had started out in life as the Rover Scouts but the name was changed in the 50’s. There is so much history attached to each of the clubs involved that each would require a book-length rview of their history to do them justice. We can only make a brief survey of the constituent clubs here leading in to the amalgamation into Edinburgh AC. 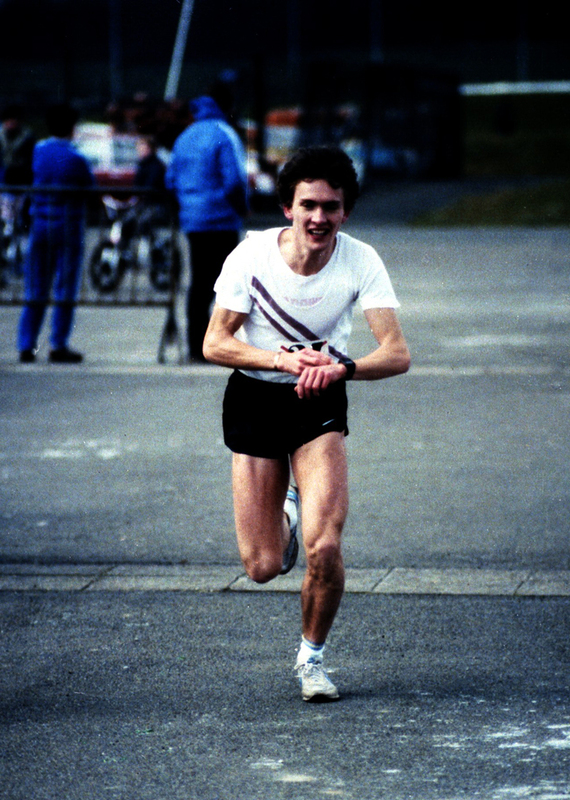 The emphasis throughout will be on the endurance running activities of the clubs involved – much more detail on the track and field actrivities can be found at Arnold Black’s statistical website www.scotstats.net. Established as we said in 1885, the club won the first two Scottish cross-country team races ever held – in 1886 and 1887 – and went on to be first in seven races in all – 1886, 1887, 1891, 1895, 1903, 1904 and 1911. They were second seven times and third six times withe last national medals being won in 1912. Their first national individual champion was RA Hay in 1895 and he was to be the only Edinburgh Harrier to hold that distinction. When the International Cross-Country Championship started, the club produced several runers for the Scottish team: A Kinnaird in 1903, TC Hughes in 1903, RE Hughes in 1906, JD Hughes in 1911 and 1912, and T Robertson in 1905, ’06, ’07, ’08. In the District Championships, they won the title in 1899, 1902, and 1909, providing winners in the form of Kinnaird (1902), and Robertson (1905). The club organised many an open meeting, at times in conjunction with the Heart of Midlothian Football Club and later some of these meetings were three way affairs with Edinburgh Northern Harriers adding their expertise and manpower – an example of this is the meeting at Tynecastle on 30th June, 1915. They were still a functioning athletic club in the 1950’s but operating at a much lower level. T Glancy in 1924 (47th in the international race), W Hinde 1933 (29th), 1934 (26th), 1935 (30th) and 1937 (32nd), and JP Laidlaw 1934 (27th). Canon Athletic Club was formed in 1922 and changed their name to Edinburgh Eastern Harriers in 1934. The club was never placed in the national or Edinburgh to Glasgow but in the 1950’s a good group was coming together and in 1956 theyy actually finished sixth in the eight stage relay and were awarded the medals for the most meritorious unplaced performance. In fact they finished first Edinburgh club in the race twice in the six years leading to the merger in ’61/62. The Braidburn club had red, yellow and green hoops and had possibly the best all roung team of the four. They had evolved from the Edinburgh Rover Scouts AC who had been in existence since before the 1939/45 war. 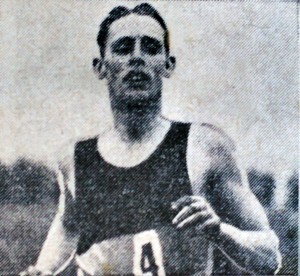 In the last national championship before the war, they had one senior man running, G Strachan was second in the Youth Championships and a check of their involvement in the National back as far as 1930 found individual runners entered under the club’s name back to 1931 when J Mitchell ran; the only senior team in that period was in 1936/37 when they were 14th. After the war, they ran a Youths’ team in the second national (1947/48) which finished third behind Kirkcaldy YMCA and St Modan’s but well ahead of the other Edinburgh clubs – Edinburgh Southern was tenth, 61 points adrift. The runners were CR Jones 5th, R Pearson 10th, W Henderson 35th and E Gray 52nd. Other team men who finished the course were D Hall 68th and I Milton 89th. “The Edinburgh Rover Scout Club came into existence just before the 1939/45 war and it evolved around this time from the scout movement to be well established by the time I joined in 1948. We were not particularly competitively successful at the time but even I, as an also ran, quickly saw the potential for a good cross-country team as we had a group of youngsters; a little older than me, and they were very enthusiastic. 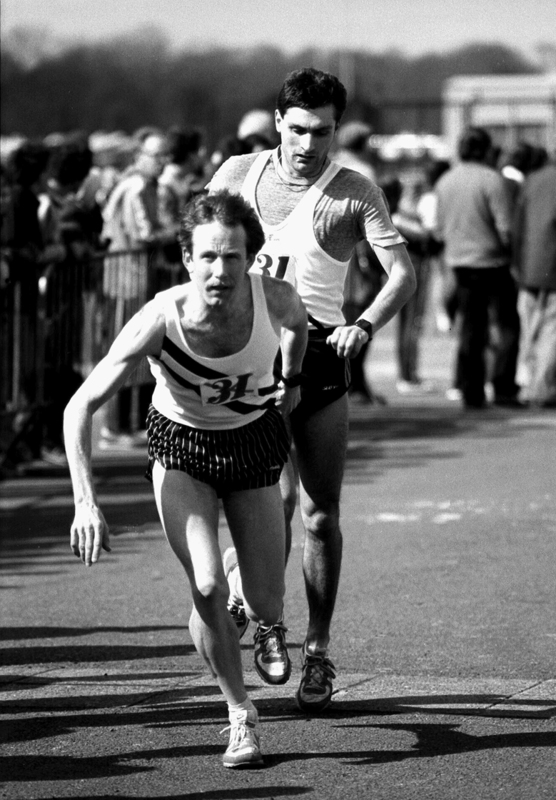 There were several older athletes in the Club and although very few were capable of finishing in the first twenty in the “East League” races there were enough to be noticed. All age groups ran together in the “League” and I did my best to avoid being last. Claude Jones, a Scottish Champion boxer, who you may remember as a coach, was the first one to show any prowess but that was a little before my time. Everyone came from a Scout background before I arrived at the Club and then some BB boys joined with others who were not from any particular group although several had Rugby as an alternative sport . The Rover Scouts were a winter club at this time but I suppose with the aid and encouragement of the rugby set, and the connection and availability of their training grounds for use in the summer, we started to develop a Track team. The fee paying schools in Edinburgh had F P athletic teams and those who did not play rugby in the winter joined the Rover Scouts Club for cross-country and we evolved even further. 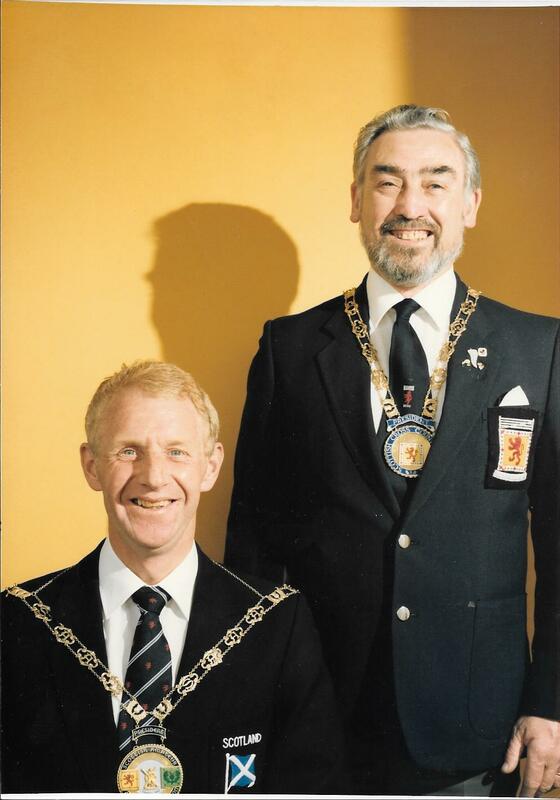 “Would be” runners like Bill Linton, who, like me, came from West Calder, joined the Rover Scouts Club and we quickly became a force to be reckoned with as Bill proved to be a fine sprinter in addition to developing his significant middle distance prowess. Our Rugby players generally strengthened the team including in the “Field” events while some athletes were very versatile. Our success annoyed at least one member of the long established clubs of that time, the early fifties, and he raised the fact that we were not all Rover Scouts with the East Committee. As a result, the committee required us to change to a less misleading name. You will appreciate that I was very unaware of athletic politics of the time. At the Club’s AGM, a school boy from George Watson’s called David Laing suggested that as we did runs through an area where the Braid burn flowed in addition to our using Braidburn House for changing purposes we should call ourselves Braidburn and this was accepted. Braidburn continued to improve as a club over the next few years until we were probably the most consistent Track team in the area whlle some of the other older clubs had began to struggle. We won most of our inter-club contests against the “FP clubs” and the “Harrier” clubs. We had several fine sprinters and an extremely strong pack of middle distance runners who contributed to a successful road/cross-country team. I know that I preferred the short relay races on the road but I also improved as a middle distance runner. The rules said that clubs had a 14 month period of grace before joining a completely new club and Braidburn, having an invitation to the Edinburgh to Glasgow, took advantage of this and had a winter as an independent club before joining up with Edinburgh AC. Their last year as Rover Scouts AC had been 1951/52. Braidburn then competed well in 1952/53 – first in the Youths age group in the Eatsern District Championships, seventh and tenth in the District relays, and their Juniors had been second in the national championships. On the track it was a fairly successful club with good coaches and officials such as Tom Drever, mainly but not at all exclusively a high jump coach, and JT Mitchell who was president of the SCCU in 1953. As Neil says, their athletes competed everywhere and at a higher level than he suggests. Of his own racing, Neil is maybe a bit too modest as well. He was a hard fighter at the end of any race as his third place in the half mile in the SAAA’s of 1955 showed – he and the fourth man were given the same time exactly but Neil got the verdict. 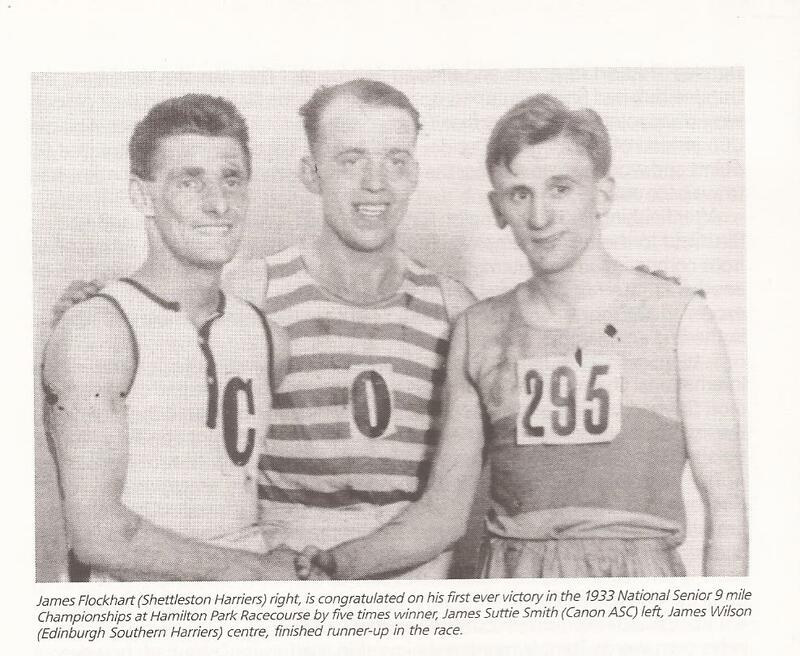 One member of Edinburgh AC that I spoke to said: “I always understood it to have come about from a meeting of the clubs Northern, Eastern, Edinburgh Harriers and Braidwood in the face of putting a club together to compete with Southern.” We can look at the results of the relative Edinburgh clubs in the late 50’s – ie from 1955 to 1960 to see if there was indeed a gap between the south-siders and the others. Let’s take the National cross-country championships first, and look at the Senior team results, and excluding the University team which was quite strong at this point. 1955: Edinburgh Southern Harriers 7th; no other club had a team running. There were individuals from some of them. 1956: ESH 5th; Braidburn and Edinburgh Eastern had incomplete teams. 1957: ESH 3rd; No other club had a team finishing. 1958: ESH 4th; Braidburn had an incomplete team. 1959: ESH 4th; Braidburn and Eastern had incomplete teams. 1960: ESH 5th; Braidburn 9th; no other club had a team out. The picture was less clear in the Edinburgh to Glasgow Road Relay that required eight runners per team. 1959: ESH 4th; EEH 19th. 1955: ESH 2nd; Braidburn 4th; no other complete senior team from Edinburgh. 1956: ESH 2nd; Braidburn incomplete; not other team from Edinburgh. 1957: ESH 1st; EEH 2nd; Braidburn 4th; Edinburgh Northern Harriers 7th. 1959: ESH 1st; no other complete team. Edinburgh Southern was clearly the team to beat. Edinburgh Harriers, pre-1912, had been one of the top two or three teams in the country, Northern had had their real purple patch in the 20’s and 30’s, Eastern was just coming on to its game. They won the most meritorious medals in the Edinburgh to Glasgow in 1956. Unfortunately however they were not turning teams out in most of the major championships. Southern, on the other hand, turned out teams in everything – in the District Relays there were often four or more teams running, at times there were more from Southern than from the other four put together. The other clubs looked at the example of Eastern in the E-G of 1956 and 1960 which seemed to show that if the others got their runners out, Southern could be beaten. They certainly had the talent. They had good runners with a very good supporting cast. Why shouldn’t they join forces? They also had excellent coaches – Bill Walker and Tom Drever who came from Braidburn were quite superb coaches and were joined by others covering pretty well all athletic events. The club had all it needed to make at least a genuine attempt to be one of the very top clubs in Scotland – officials, administrators, athletes and a sound financial base. Nevertheless starting from scratch against clubs that were already motoring along is always a notably difficult task. If we look at the diustance running side of the club, the first big race of their first season saw Edinburgh AC finish eleventh in the Edinburgh to Glasgow Relay Race. 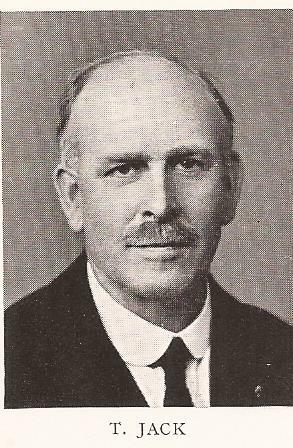 The team was made up of R Prior (from Edinburgh Harriers), J Foster (Edinburgh Southern), R Greenoak (Edinburgh Northern), T Chalmers (Edinburgh Eastern), F Neillings (ENH), W Ramage (EEH), H Watson (EEH), and NJ Weir (ENH). They ran well in their first outing but Edinburgh Southern Harriers was second team. In the National championship their first finisher was F Neillings in 35th place, with A Carse in 36th, D Hamilton 72nd, WH Watson 79th, T Harrison 90th and N Donachie 102nd. They also had C Clarke 109th, R Greenoak 112th, A King 125th, W Henderson 182nd, and C Jones 185th. After several years with hardly a complete team finishing, they had eleven runners in the race. Out of the medals, butit was a first attempt. In addition their Junior team was ninth and there were competitors in both Youths and Boys races. Things could only get better. Eighth in the E-G in 1964/65, they were again seventh n the national. Alder again led the team home in second, Carse had come from 54th the previous year to twelfth this time, Ramage was 58th and the team was completed by the runners who had served the club so well in the past few years. Then on 21st November, 1965, the team was up with the leaders in the E-G when they finished fifth – one place behind Southern. Carse had fastest time of the day on the difficult second stage and the team was made up of Fairgrieve, Carse, Convery, Carcas, Steele, Alder, Gillon and Donachie. They won the medals for the most meritorious unplaced performance. In 1965/66 they were sixth in the national Led home by Jim Alder in third, he was followed by A Leitch in fifteenth. After only five years, they were getting closer to the medals. Many of their athletes are still highly ranked in the national all-time lists from Drew McMaster and Drew Harley in the sprints through to Jim Dingwall, Jim Alder and Lindsay Robertson – marathon runners of quality. 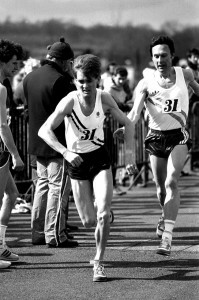 There were several prodigious young talents unearthed too – just look up the careers of Ross Hepburn in the High Jump and Peter Little in the sprints as well as the slightly more seasoned middle distance runners Paul Forbes is fourth and Peter Hoffman is eighth (Hoffman is also in the 400m at tenth. WHY DID THE TWO CLUBS MERGE? The one thing that is not mentioned in the article as a reason for the ‘decline’ of the two clubs is the arrival on the Scottish scene of Racing Club – at various times Edinburgh RC, Reebok RC, Leslie Deans RC and Mizuno RC – in the 1990-91 season. The club was composed mainly, at this point of former members of ESH and EAC. Tom Hanlon, John Robson and others from Southern and Brian Kirkwood and some others from EAC. It was not a popular club – clubs of champions seldom are whenever they appear – Dunky Wright’s Caledonia AC in the 1920’s only lasted one season. But popular or not, it attracted some outstanding runners from both clubs. It later spread its wings and Peter Fleming from Bellahouston, Frank McGowan from Shettleston and others jpoined from the West. One of its effects was to weaken both clubs, poissibly ESH more than AC. It was not universally popular within the two clubs concerned either but iut went ahead anyway and so far – March 2017 – it seems to be doing well.